As the actress Stella Adler once said, “Life beats down and crushes the soul, and art reminds you that you have one.” Plus it’s a scientific fact (probably) that everyone leaves an art gallery with renewed appreciation for their fellow man and the world at large. We could all use some of that, so we scoured the country for the eight most transcendent, soul-healing art exhibitions, from the real Hungry Caterpillar to a teeny tiny Atlantis. Trust us; everything is beautiful. Hey, have you noticed that it’s election season? Fatigue with the political process is nothing new, and long before cable TV broke 1,000 decibels, and your craziest aunt discovered Facebook, expressing it was a real art form. Montgomery Museum of Fine Arts and the Norman Rockwell Museum are showcasing two masters of equal-opportunity political stone-throwing, meaning you can totally bring that friend you don’t agree with. Spangler spent 41 years as the Montgomery Advertiser’s political cartoonist, and was extra fire during the presidential election of 1928 (Herbert Hoover vs. Al Smith). But Nast (1840-1902) is the real throwback: not only was he considered the “Father of the American Cartoon” and “The President Maker,” he also invented the modern Santa Claus. For real. 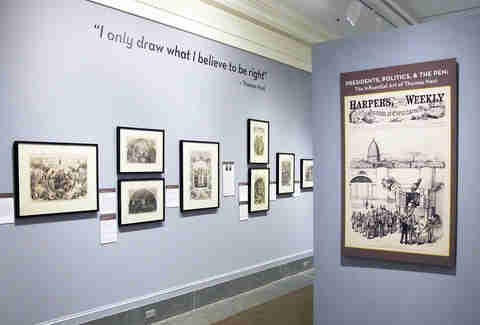 Must see: Among the 30 editorial cartoons represented at “Presidents, Politics, and The Pen” are the first representations of the Democrat and Republican parties’ donkey and elephant. 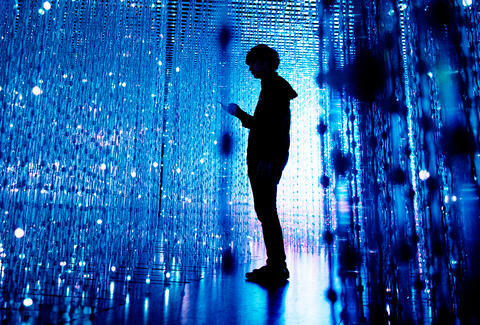 This 20,000-square-foot exhibition was recently extended, because more than 20 digital art installations is a lot to contend with -- and these are interactive. 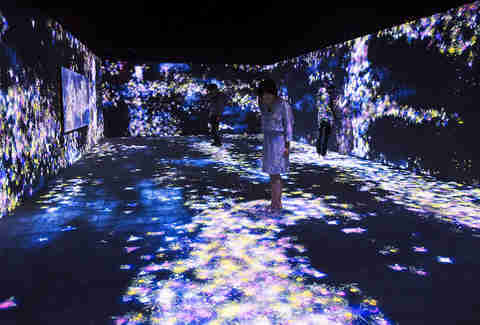 Seriously, you try tearing yourself away from rooms like “Black Waves in Infinity,” “Crystal Universe,” “Flowers and People,” and “Light Sculpture of Flames.” Each is exactly as described, and straight from the minds of Japanese collective, teamLab. Viewers are encouraged to interact with, and thereby alter, the displays because, “This element of responsiveness to movement and touch is implicit to an individual’s autonomy as well as the balance that is sustained between man and nature.” In other words: it’s super cool. This mammoth collection -- in honor of the Walker’s 75th birthday -- is a greatest hits round up of the type of art you fantasize about curating for your fantasy loft that you can only afford in your fantasy life with your fantasy job. It encapsulates the gallery’s reputation for boundary-pushing acquisitions, like Chuck Close’s Big Self-Portrait (1967-1968), and Sherri Levine’s tribute to Marcel Duchamp’s Fountain, the logically titled… Fountain. If you’re an occasional gallery trekker, consider this a monster catch-up session. Must see: As part of the long-running Walker Dialogue and Retrospective series, catch clips from more than 60 filmmakers at Dan Graham’s sculpture, New Space for Showing Videos. 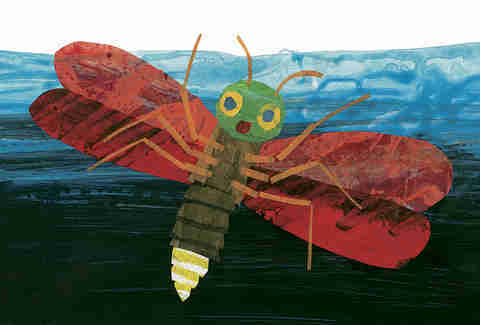 You may not have heard of Eric Carle the man, but unless you somehow skipped childhood, you must have heard of Brown Bear, Brown Bear, What Do You See?, and that love letter to binge eating, The Hungry Caterpillar. 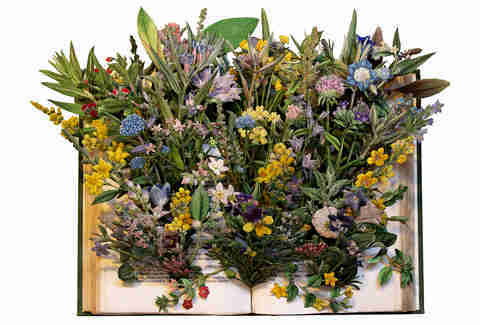 Atlanta’s High Museum has brought together more than 80 works spanning Carle’s career. The artist specialized in turning a bunch of different media, from tissue paper to crayons, into life lessons -- among them the importance of persistence, and how to make pancakes. Which are totally related in our book. Must see: Now that you have reawakened that part of yourself that adulthood stamped into the mud, go all-in by downloading the "Seek and See Scavenger Hunt.” It’s artsy Pokémon Go. You don’t have to be a sports junkie, or even work out, to appreciate this, the most comprehensive collection of sports photography ever assembled. 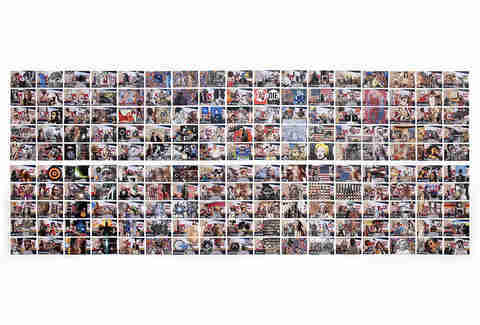 Victory, defeat, and every uplifting or soul-crushing moment in between is represented over some 230 digital images, daguerreotypes, and salted pepper prints from around the globe. Highlights include iconic shots from the 1936 Berlin Olympics, as well as legends like Muhammad Ali, Serena WIlliams, Roger Federer, and Magic Johnson in training and action. 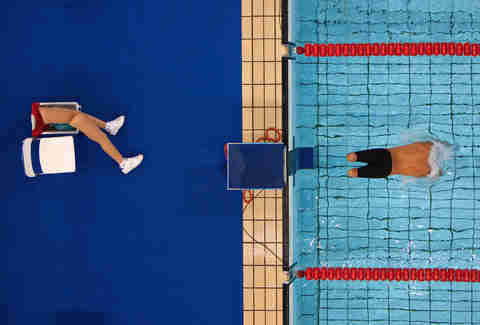 Must see: Check out when Heinz Kleutmeier of Sports Illustrated (one of 170 photographers represented) first put a camera at the bottom of a pool to photograph swimmers and singlehandedly made Olympics coverage a whole lot more interesting. The urge to get away from it all is front and center at this series of five exhibitions, curated from established and emerging artists’ paintings, drawings, sculpture, photography, and video. Sure, we’ve all doodled on a notepad during a boring meeting, but these people take saying, “La la la not listening!” to 21st-century pressures and anxieties a lot further with portals to fantasy worlds, and depictions of chaos and calm. Feeling like a giant is good for anyone’s self-esteem, so sign up for the Bruce Museum’s winter tradition of showcasing teeny tiny things. Like snow globes but better, these mini landscapes, seascapes, and fantasy worlds are designed to make you think about much bigger ideas, like your place in the world and what it all means (uh, we’ll get back to you on that). Come for the deep thoughts, stay to figure out how a bunch of found items like old books, repurposed suitcases, and a tree that is still alive (!) turned into these tiny wall-embedded dioramas, bubble worlds, and faux landscapes that explode from books. 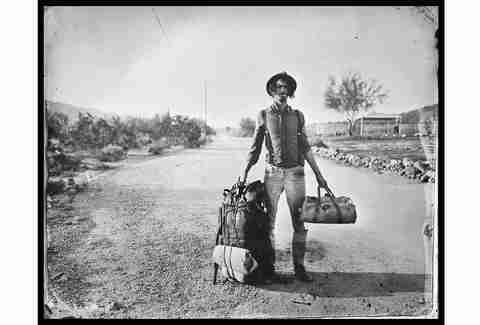 Must see: Kathleen Vance’s Travelling Landscape series turns old suitcases and trunks into portable landscapes, complete with running water.